Recently I've listened to two books on tape while traveling across the country. 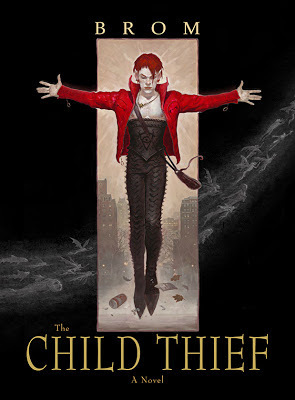 The books in question are TheChild Thief and Krampus: the Yule Lord. 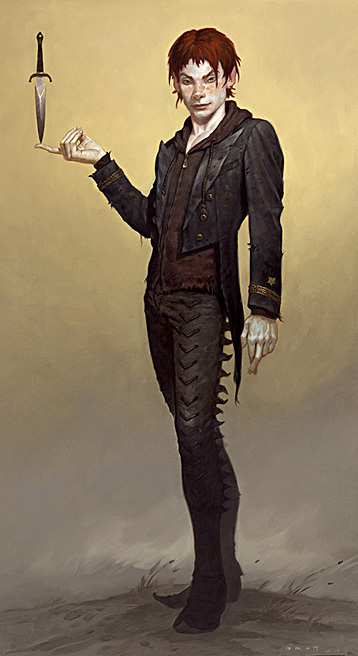 Both of them share many common elements because they share the same author, Brom. Since this is the case, and because I'm trying to avoid any spoilers, I’d like to outline the writing style rather than directly referencing the books individually. 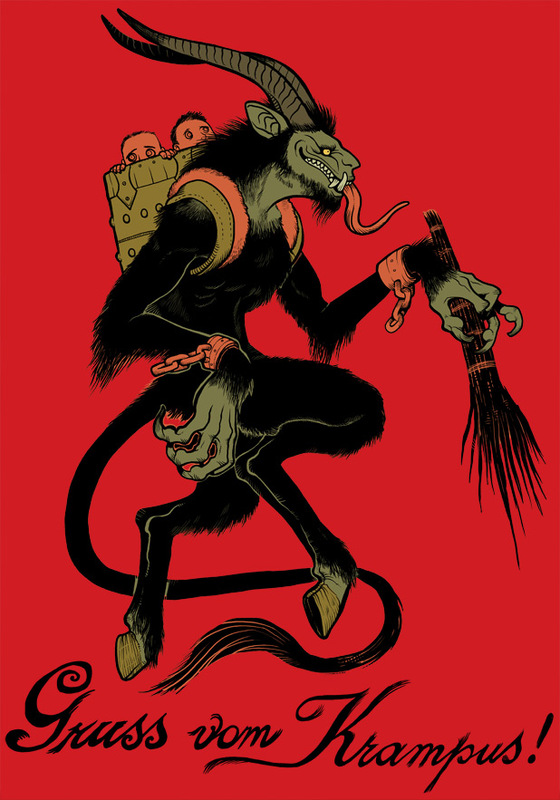 Brom is a descriptive author who gives the reader very specific pieces of visual information that we as readers can own the interpretation of. 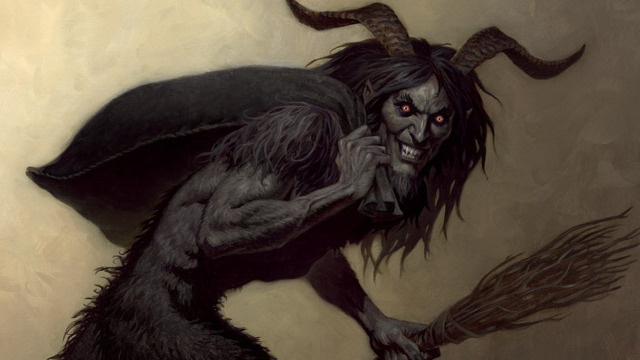 For instance he’ll say something to the effect of ‘there was something about her face that was beast-like.’ Brom also tends to take his time in the storytelling process, covering the events of a single day over many pages. I’d equate reading a Brom book to watching the film Silent House, a horror film shot in (they claim) a single take. While this is quite unlike most books I read by Dan Abnett or any part of the Harry Potter series (which can easily span months of time over a dozen pages) you’re able to appreciate every moment of anxiety, fear, and doubt the characters go through in these books. Brom also writes extremely three dimensional characters. It’s almost impossible to not understand every character’s motivations by the end of his books as he does a very thorough job of explaining how they think and perceive the world. In a way every character is correct and every character is a little bit insane, flawed, or misguided in their views so by it’s hard to decide who you want to realize their ambitions. Because the main characters in both books would… well… be considered the “bad guys” in almost any other setting it’s hard to conclude any sense of clear moral right. The worlds Brom creates have no clear black and white and it was hard to even say that one character’s motivations were any more just than another’s once you walk a mile (or a chapter) in the shoes of a characters you previously hated. 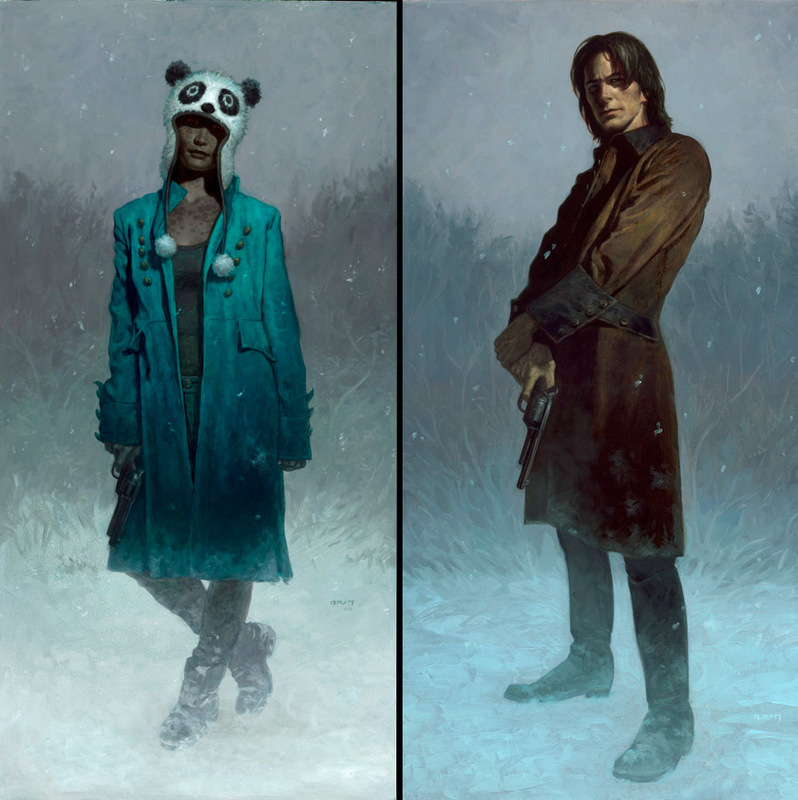 Brom’s books are a 3rd person narrative through the filter of a specific character. That being said he often switches between characters to give the reader a full understanding of the story. 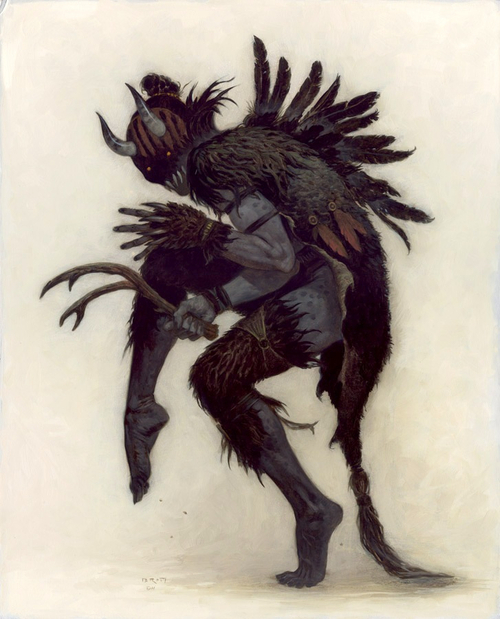 In addition to the methodical pacing, which I found enjoyable, Brom seems to always tie up the loose ends in his books, leaving you with few questions as to the events that took place. At the end of each book he also takes the time to explain how he came up with his ideas and cites the reasons for his creative decisions. This mini dissertation really helped clarify a lot of the questions I had as both a reader and supernatural/fairy-tale enthusiast. Another thing that I absolutely loved about the books was the fact that in addition to writing them, Brom created the covers, made illustrations for each chapter, and included a dozen full-color concepts with each book! That in itself is reason enough to also get the psychical copy of the book, even if you (like me) don't have time to read in the traditional way. The voice acting for both audio books is also worth noting as being top notch. Mr. Kirby Heyborne delivered one of the best audio book performances I’ve heard to date. Having listened to audio books since Jurassic Park was first available in the 90’s I feel I can be fairly picky about the topic. After getting through my current list of audio books i'm actually thinking I might seek out other audio books read by Heyborne because he's that enjoyable to listen to. 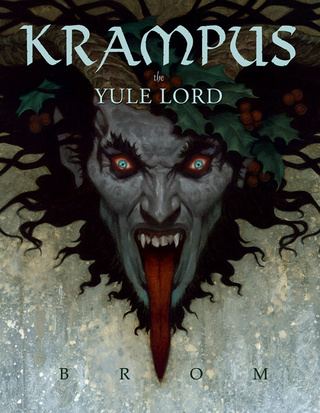 As for a spoiler-free synopsis of each book: Krampus: the Yule Lord is a fantastically original story pertaining to the mythology surrounding Santa Clause and the obscure figure Krampus. The gist of the story, explained in the opening paragraph of the book, is that Santa stole Krampus' holiday, deceived the world somehow, and created Christmas from the holiday known as Yule. The book is surprisingly under a lot of influence from Norse, Pagan, and Pre-Christian mythology, though most of the story takes place in the little town of Good Hope, West Virginia. There are two primary stories told in this book, the story of Krampus, and the story of Jesse, a down on his luck musician from West Virginia. I mention this because I personally found the story of a 26 year old singer-songwriter to be very relateable... While fairly shorter than The Child Thief I found Yule Lord to be no less enjoyable, and for someone with an interest in a fantastic legend that is masterfully crafted from intertwining seemingly unrelated stories from various real-world mythos I highly recommend this book... You'll also understand just why you should leave a shoe filled with treats at your door this Yule. The Child Thief is a completely re-imagined storytelling of James Cook's Peter Pan, without Wendy, Tinkerbell, or Disney. It's a harsh, gritty, modern fairly tale that starts off in New York City (as opposed to London) and goes through events too harsh (mostly of violent nature against youthful protagonists) to ever be depicted in a film. It's hard to explain the appeal of the story as a reader who never previously liked Peter Pan to a reader who previously has no interest in Peter Pan without giving away the plot, but I'll say that there's a certain magic to the idea of a world without laws that I'm instantly drawn to. If you've ever wondered what "Chaotic Neutral" really meant or was curious what might go through the mind of a true sociopath this book is absolutely for you. If you like fantasy, Warhammer, European fairly tales, or the original Peter Pan this book is for you.